- I do not give any importance. I get along with everyone. Pedro Blanco Vera ... Vera as shore to lay a craft time effort. Like a bunch of white foam on the beach of elegance. Peter as a rock records which build the temple of friendship and love, is a simple one day and inadvertently man was fighting with leaves Esparto, spears doblegadas by water and blows, and hands and the heart to be born to light as a new immaculate universe. We are at home. An immense closure as a watchtower in the jugular of Ubeda intimately embraces us with their hands do not know what mystery like a box of Marcelo Góngora dreams. Pedro is agile and wears soft tones. His fingers are tired. His eyes, sunken in memories, still throb to mischief and genius. Whitest hair, as if the light had rained the snow on his head a starry night. There are over us and under us a special deep perfume, a dry aroma and happy that sticks more than the sense in the soul. I'm opening my eyes with astonishment and get lost in the maze of his words like a dewdrop in the fog. - The business was very good. I got to put even a lovely shop in Bailen. They had much acceptance, the Ubedies carpets of pure craftsmanship. My son John was wonderful drawings. 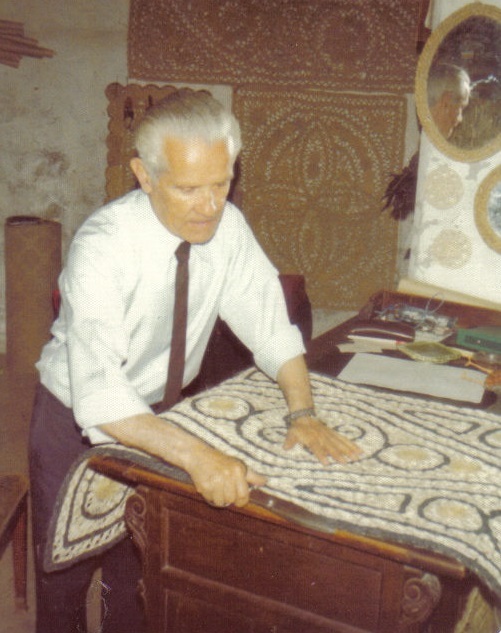 We were the first in Spain in the manufacture of carpets of this type. In this house they came to work more than forty girls and no I have had the slightest problem. 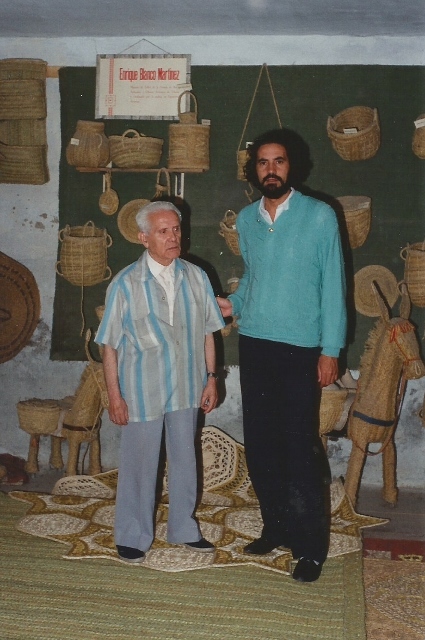 They made orders worldwide and that in Ubeda began to emerge wickerwork other workshops like Luis Garcia Salinas, Alfonso Moreno Mendez and Manuel Latorre .... but I was always the most visited. You see, my house have been all kinds of personalities, ministers, writers, bishops, singers, artists, CEOs ..... Among them I remember Fraga and Luis Mariano singing girls every time he came to the workshop. Ah¡ and want to make a clarification, everyone thought and think I gave away what they asked me, but it is not, here everyone has paid voluntarily. 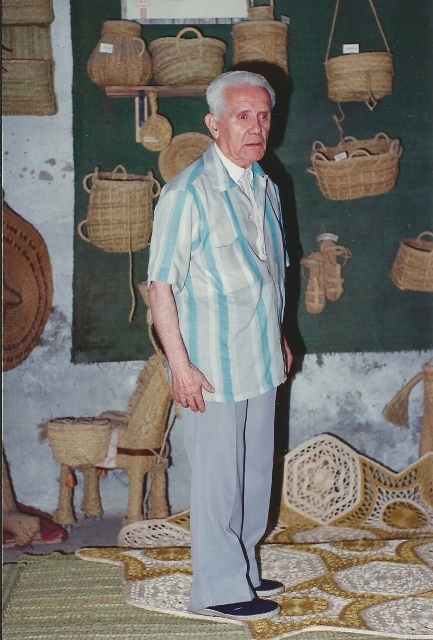 Interview and photos provided by Ramón Molina Navarrete, who Ubedies Artesanía wishes to thank friendship put in these words.